The master of historical fiction presents the iconic story of King Alfred and the making of a nation. 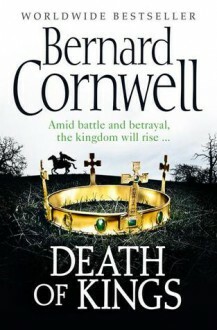 http://pablos.booklikes.com Pablos czytelnik 3.5 Bernard Cornwell - "Death of Kings"
text Bernard Cornwell - "Death of Kings"
Really enjoyed this latest episode, and hanging out for the next already. My only criticism is over the choice of narrator for this audiobook - in my opinion he didn't sounds 'Northern" enough.